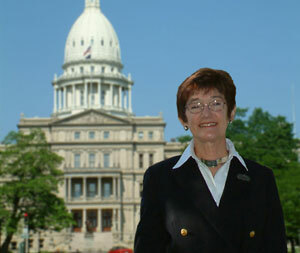 Ask Kerry Chartkoff a question about the State Capitol Building and be prepared to be swept up in her enthusiasm for the national treasure located in the heart of downtown Lansing. With 20 years of service "under the dome" as a key player in the Capitol&apos;s stunning restoration, director of tours and historian, she knows every nook and cranny of the building. Kerry and her family moved from California to Greater Lansing and they were immediately taken with Lansing&apos;s big-city atmosphere wrapped in a comfortable small-town feel.